Categories: Gifts for Community Leaders, Gifts for the Jewish Home, Great Gifts for the Holidays!, Jewish Wedding Gifts. 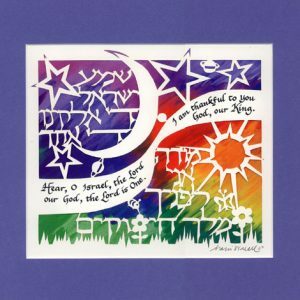 Tags: Birkat HaChodesh, Blessing of the New Moon papercut, Jewish gift, Marci Wiesel. 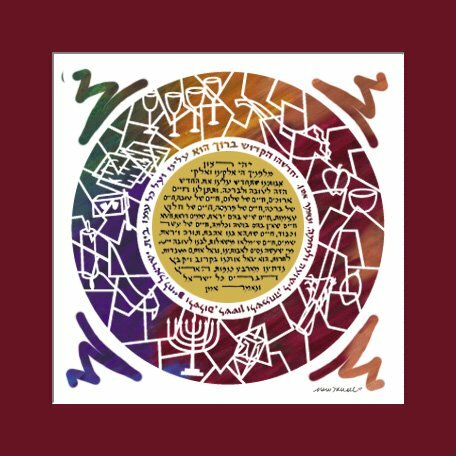 This circular stained-glass-like design offers a symbolic representation of all the holidays that occur during the cycle of the Jewish year. 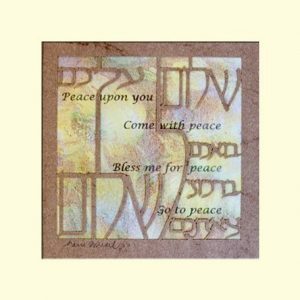 The text of Birkat HaChodesh, Blessing of the New Moon, is recited during the Shabbat morning services, one time each month, with the coming of the New moon. In this prayer, we ask for the coming month to bring only goodness and blessing. 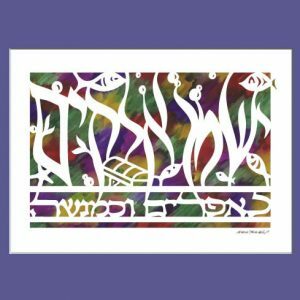 See the text translation for a full explanation of this beautiful Jewish papercut by Marci Wiesel.